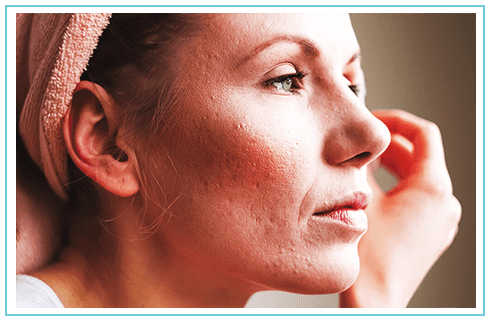 Most people don’t even know they have rosacea, despite how large a toll it takes on your natural glow complexion. It often starts in the cheeks but can spread on the whole face. 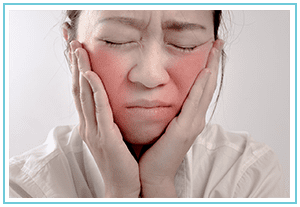 Untreated rosacea causes redness, bumpy texture, visible blood vessels, and acne-like symptoms that worsen over time. The causes of rosacea can vary anywhere from genetics to Demodex skin mites (ewww)! Exposure to the sun, intense heat on affected areas, and even spicy foods or alcohol can worsen its effects. 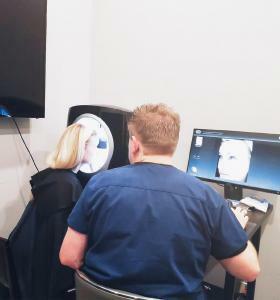 Although a permanent cure is yet unknown, treating areas affected by rosacea can reduce its effects almost completely. 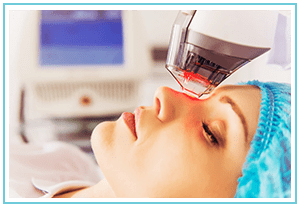 Our experienced methods, combined with state-of-the-art lasers and technology, allow us to quickly correct redness, swelling, and undesired skin abnormalities. Give us a call or fill out the form below to find out how to take years off your face and prevent the damaging effects of rosacea. 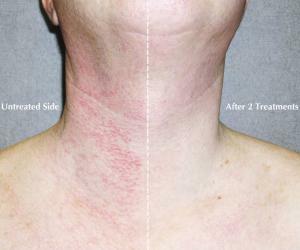 A younger, sexier, rosacea-free you might be just a few treatments away. We’d love to sit down and have a one-on-one with you about what treatments and solutions would yield the fastest and most effective results. All consultations are completely FREE. Exilis Elite uses radio frequency energy to help sculpt the curves and contours of your body by tightening the appearance of loose skin and improving the skin’s firmness. Kybella is an injectable treatment, formulated with deoxycholic acid to safely and effectively kill problem fat cells along the underside of your chin. SculpSure is ideal for people with troubling areas of fat, particularly those that seem resistant to diet and exercise. The treatment is perfect for those desiring fat loss without surgery and no downtime.